Knitting - a Scarf Pattern! A few weeks ago, I posted about a scarf I started using Caron Cake yarn. I admit, I was curious about this yarn after reading numerous posts either loving it or hating it; it's a yarn that inspires all the feels! 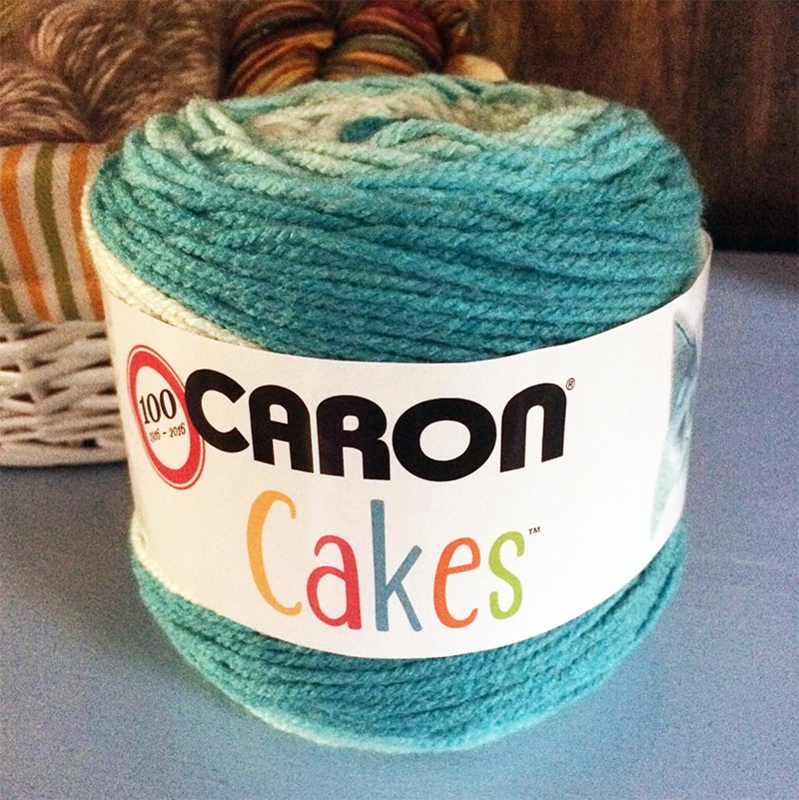 As someone who likes to make up her own mind, I bought the Fairie Cake colorway - teal is my favorite color - and started a scarf. 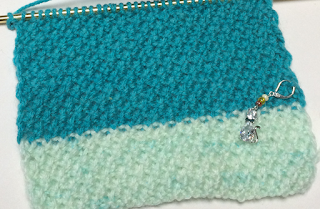 I haven't knit a scarf in a long time, and I wanted to trying double moss stitch. 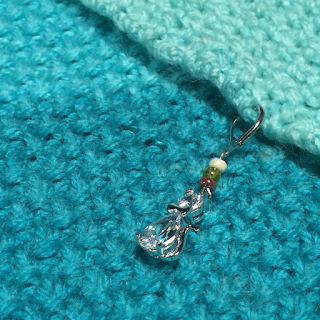 Its a stitch that makes a squishy and intricate fabric that impresses non-knitters but is easy enough for knitters to do on the go (or during administrative duty if you are a teacher). I originally started with that partial block, but not only did I not like the look of that sad little slice, I also didn't like the slipstitch edging I used, so I started over. I cut the lightest color from the cake and am saving it for when I get to that color. That block will be slightly larger than the others, but it will be at my neckline and should look appropriate. You could always just discard that little extra if you get a cake with the same issue, but I wanted to use my entire cake! While the scarf isn't complete, here's the recipe for my Moss Cake Scarf. It's a quick knit and might be helpful for last minute gifts. Cast on 36 stitches. 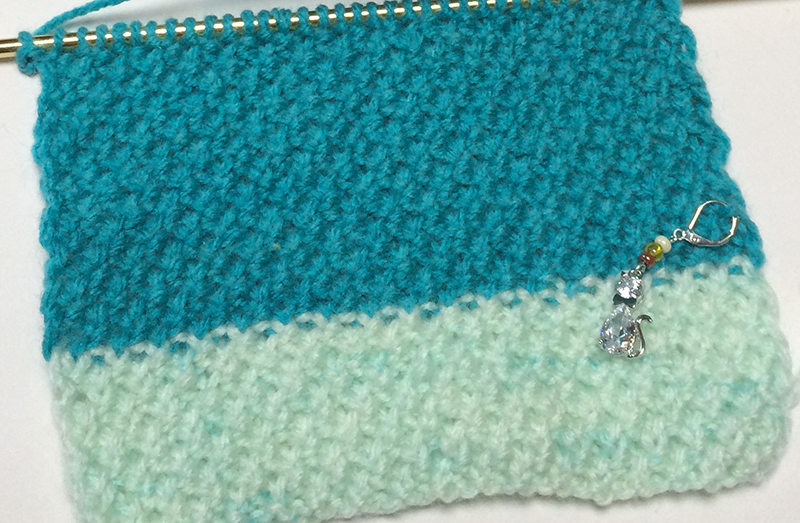 The first and last stitches of each row will always be a knit stitch. Knit until you have just enough to bind off, then do the bind off. Since this is acrylic, blocking won't do much, but I always wash a hand knit before I gift or wear it. If you follow me on Instagram, you'll most likely see the finished scarf sometime this week. I'll also include it in my next blog post. 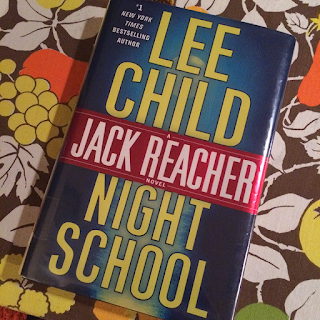 I was lucky enough to get the newest Jack Reacher novel, Night School, from the library over the weekend. This was a double win because (1) a whole bunch of roofers put a new roof on my house Saturday which prevented me from leaving for most of the day, and (2) it was cold here in New Jersey so I had no interest in leaving my house anyway! You know what you're getting with a Jack Reacher book: lots of action, sparse prose, an unusual mystery, and woman who falls into bed with the main character for absolutely no reason (but generally just once or twice in less than 3 paragraphs total so easy to breeze through). In this book, that woman is a high powered government official who "combs her hair with her hands" which is just silly - are men really impressed by that? It is 1997, so maybe. Reacher is still an MP in this episode, and Y2K gets a lot more attention than fringe Islamic terrorist groups. That changes by the end of the book but not by much. Most of the action takes place in the reunified Germany which has it's own problems. Great literature, it's not, but it is good fun. If you, like me, hate to leave your house when it's below freezing or in bad weather, this is a good weekend thriller that won't tax your brain but may tax your patience once or twice much like the action movies of the same era. Today I'm joining The Really Crafty Link Party and Nicole at the Keep Calm Craft On link party. 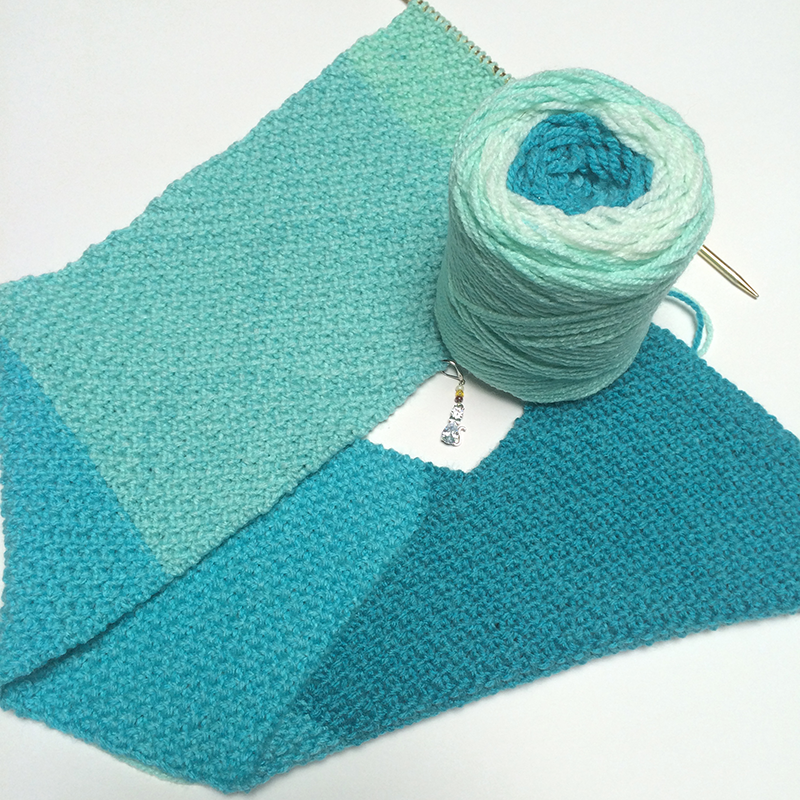 On Wednesdays, I participate in the Yarn Along on Ginny Sheller's blog. Please join us either by contributing a link to your fibery work in progress and current read and / or by checking out the posts to the link parties. You may find your next book or project waiting for you! I just knit a Baktus scarf with Caron Cakes. Normally I'm a bit of an acrylic yarn snob but I enjoyed knitting with the Cakes. It didn't have any of the typical acrylic ick factor. Your scarf will be gorgeous! I've asked for more Cakes for Christmas, and that Baktus shawl pattern looks so good in this yarn! I think I'll try that one next - thanks! And yes, this is not your typical acrylic yarn. I love the yarn, really pretty. And I love your progress marker. It's so pretty that for a moment I thought you had inserted it in the scarf as an embellishment, and it would look great too. Thank you for sharing at The Really Crafty Link Party this week. Pinned!